Store bought deodorants usually have aluminum, so some people stay away from them. Others just prefer natural products. Here is a natural deodorant you can make at home. You can leave it unscented, scent it to match your perfume or pick a perfume oil from hundreds available in stores. Find a small glass jar with a wide opening and a lid--a pretty glass jar at an antique store or one from your kitchen, perhaps a small salsa or pickle jar. Combine 3 tbsp. 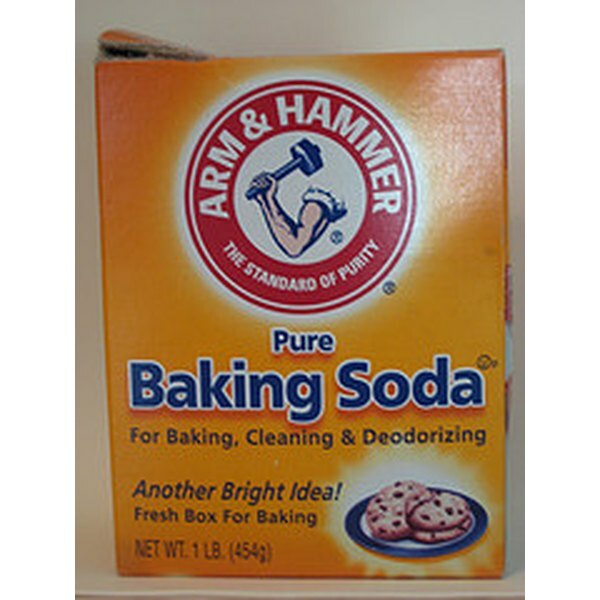 baking soda with 2 tbsp. corn starch. Put aside. Mix together 3 tbsp. shea butter, 2 tbsp. cocoa butter and the oil from two Vitamin E gel capsules (puncture the capsules with a straight pin and squeeze the oil out). Add the scent to your mixture--any essential oil or some of your own perfume. Or you can leave the mixture unscented. Combine the baking powder and cornstarch with the shea butter/cocoa butter mixture. Mix well. Spoon the mixture into the jar, and cover with the lid. Apply to your underarms with your fingertips after showering or bathing. Don't use cologne or toilet water to scent the deodorant, only perfume oil. The cologne won't mix in with the shea and cocoa butter. Double this recipe if you want to make the natural deodorant less often. Ellen Ciurczak has had a career in California in the broadcast journalism field for 21 years. She's specialized in covering politics at the state capital in Sacramento. Her radio reports have aired on National Public Radio, CBS Radio and the BBC. She received her graduate degree in journalism from UC Berkeley. Can You Use Coconut Oil for Acne?